This night left me happy, and sweaty. 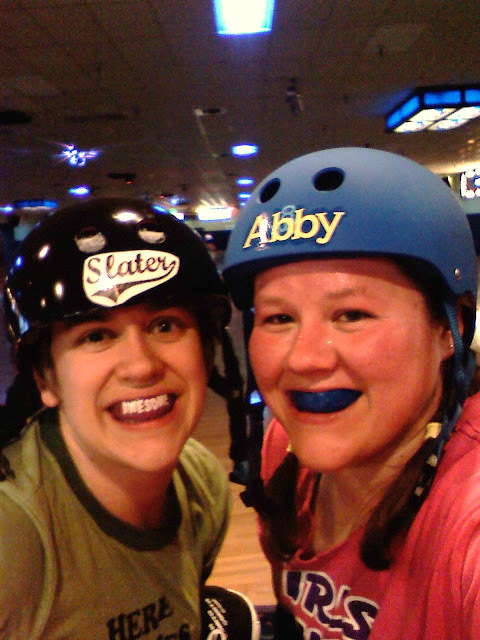 I haven't been near my computer to blog about it, but there's something so wonderful about skating non stop on a nearly empty floor for 2 hours with one of your favorite friends. We whipped each other around the rink, tried some defensive blocking techniques, and scared the little kids with our mouth guards and gear. 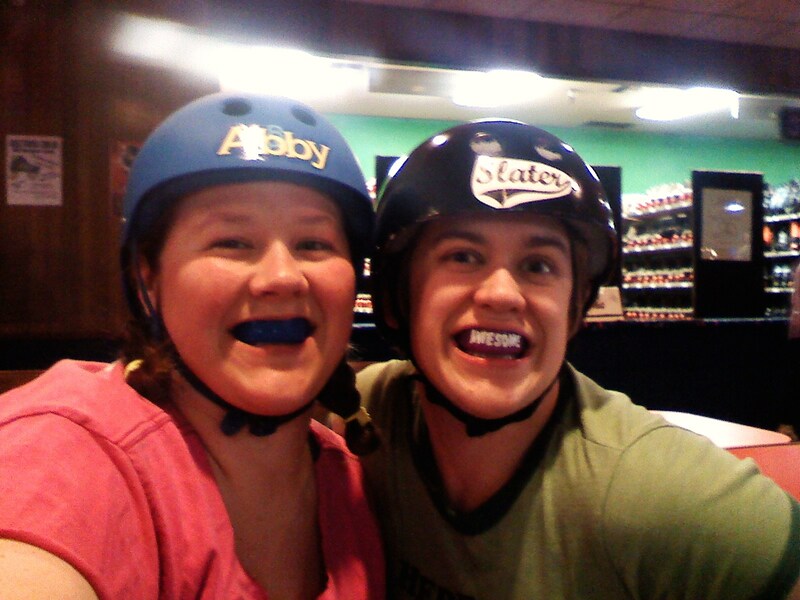 We are so happy to be back on wheels... skating together. No, I don't have a plan to go back to Derby... yet. I am still cogitating on if that would be a good idea or not. Basically I have about $3,000 spent on my knee injury, and I'm deciding if me or my pocket book can take more. I ♥ you Slater, I'm your #1 fan. I EARNED MY GOLD STATUS WITH STARBUCKS TODAY!!! = translation, I drink too much coffee.